« No One Came to the Workshop – It Was a Great Success! 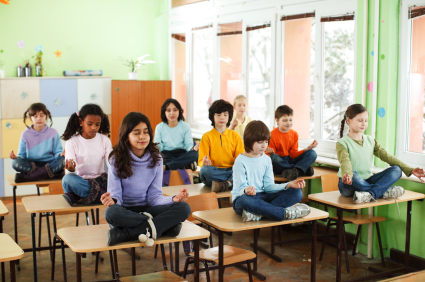 Joan Stewart feels passionate about her goal – to help children succeed in school by introducing relaxation training and meditation into the classroom. Inspired by her vision, she’s worked hard to build her business. Joan was delighted when she landed the opportunity to address her state’s annual educators’ conference in two separate presentations. She also had the option of buying a booth in the exhibitors’ section – for more money than she wanted to invest. Should she spend more time and money at the conference than she really wanted to, in the hope of encountering more prospective customers? Should she trust her presentation skills and love for her mission to convert potential buyers who attended her talks? Joan couldn’t decide. Immediately, two images appear to Joan. One is herself, addressing a large audience at the conference. Joan sees herself bathed in a radiant light. The other image is of an empty booth in an exhibition hall. The booth feels deserted, dark and cold. Joan feels instant relief as she knows without question not to spend extra time and money on the booth. Then a Deer appears. Deer is a Guide that Joan has known for some time. She feels comfortable and supported in Deer’s presence. Deer tells her that she needs to be held back less by the hurdles she perceives in building her business. Deer invites Joan to climb on her back, which Joan is delighted to do. With Joan on her back, Deer jumps effortlessly and gracefully over the hurdles, giving Joan a sense of how much easier the entire process could be. Deer then pauses to graze in a meadow. Joan notices how Deer can be at the same time very calm and very, very alert, attentive to everything that is going on around her. Deer invites Joan to merge with her (a process often used in Interactive Imagery to integrate new ways of being on an energetic level). Merged with Deer, Joan experiences a deep calm. She feels this primarily as solidity in her belly. At the same time she’s tuned in to everything around her. 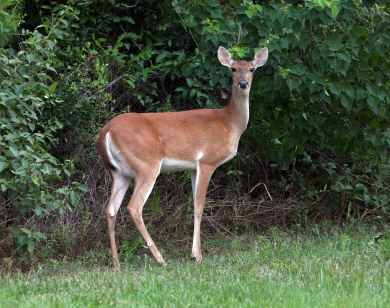 Joan never imagined these two feelings could exist side by side, but as she remains merged with Deer, this combination of solid groundedness and extreme alertness become familiar to her. She recognizes that she can relax and stay calm in regard to her business, while remaining alert for opportunities for growing it. Months later, the powerful image of Deer continues to come to Joan in times of stress. The feeling of effortlessly clearing the hurdles followed by rest and sustenance – all the while being open and alert to new possibilities – provides reassurance and grounding at times that would previously have been overwhelming. Next time you’re faced with a tough decision, whether in your business, or any other area of your life, turn to your inner wisdom for guidance you can trust. There are many ways you can do this. Here are three of them. 1. Simply ask deep within for what your Divine Nature wants you to know to help you make the best choice. Then, like Joan, be very open to whatever comes to you. The information you receive may come in the form of an image, as it did to Joan. You might hear a phrase, or just have an awareness that makes the right choice clear. If you have any questions or concerns regarding what you’ve learned, enter into dialog with your inner knowing until you feel resolved. 2. In a state of deep relaxation, invite an image to come forth that represents each of the options you are considering. Notice how you feel about each image that appears. The powerful difference between the image of herself, glowing on stage and the cold and barren booth immediately made the right choice apparent to Joan. If the images do not bring instant clarity, spend some time interacting with each of them. Ask each one what it wants you to know about the option it represents. Feel free to check in with each of them regarding issues or concerns raised by the other. Continue this process until you reach resolution. Notice what appears for each option. Notice how you feel about each one. If you like, you can interact with any of these images, just as described above. The more you practice these techniques, the easier and more powerful they will become. As you continue drawing on your inner wisdom any time you’re faced with a tough decision, you’ll appreciate more and more the value of the guidance you receive. Beautiful post, Qatana. I love that image of a deer jumping over hurdles. When deer jump they express complete grace. They really do seem to fly. it is amazing what nature can show us about our own journeys. Thank you!